• very light. My size 12’s are 290g each. There is currently a debate over “drop” and padding in running shoes. Which is better? Mainstream running shoes with their heavily built-up, heels (12mm higher than the front of the foot), or the new fashion for flat-soled, so-called “minimalist” or “barefoot-style” shoes? Should there be any padding at all between the sole of the foot and the ground? Altra Instinct are zero drop shoes. They have a flat sole. But, unlike most other minimalist shoes, they also have cushioning underfoot. I was attracted to these shoes because I have been searching for a shoe suitable for speed walking on a track, or even race walking. I am currently training for the Sri Chinmoy 24 hour ultra marathon in Sydney in which I will be competing as a walker. It is run on a synthetic 400m athletic track, so my usual trail running shoes will not be suitable. 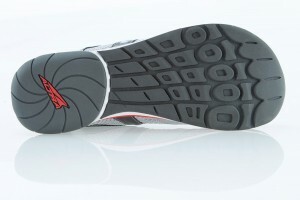 Good race walking shoes seem to feature flat soles (zero drop) or at least a low heel, they have sturdy soles with some flexibility at the ball of the foot, and have a roomy toe box. It is also better that the heel of the shoe isn’t built out so it bulges out from behind the foot, which running shoes commonly do. The Altra instincts have all the characteristics of a good race walking shoe. They are also wide, which is good news for my very wide feet. I have used these shoes in walking training on flat pathways and around a 400m grass track, and they perform well. I have also used them on easy paced runs of up to 10km (which is a very long run for me) on concrete footpaths along suburban streets, and they were perfectly comfortable. I think they feel a bit better than the Skechers GoRuns (reviewed elsewhere on this site). They are certainly better walking shoes than the GoRuns. Out of the box they still felt a little bit restrictive around the ball of my foot, especially on my right foot which is about 1/2 size larger than my left. Both my feet are rather wide. However, on the Altra website they feature an alternative lacing pattern which makes even more room for wide feet. I tried it, and it worked perfectly. Often I will buy shoes up a size for the extra width. No need with the Altra Instincts using the alternative lacing pattern. 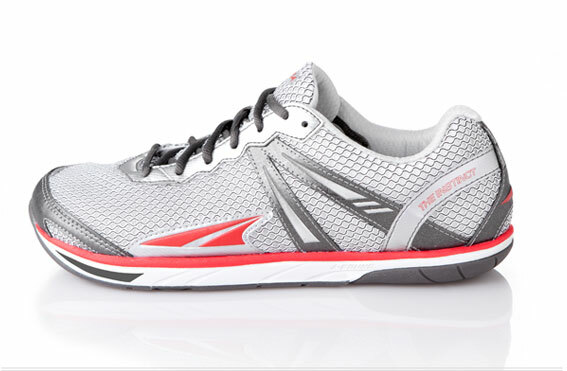 Because I am new to running, though not to long-distance walking, I see no problem in going straight into zero drop shoes like the Altras. Having no established running style, I won;t have any transition period while my feet adjust to a flatter sole. Anyone used to running in traditional shoes may have to take care in the transition, according to common internet wisdom and shoe company marketing. To summarize, then: I love these shoes for walking and running. Their room for the toes, their good width, their light weight, and their cushioned but sturdy soles make them ideal for me. Highly recommended. Reviewed May 6, 2012 by Saul Richardson.